The Chuckanut Bay Geoducks fought hard last weekend and demonstrated marked improvements in their away game against the Portland Pigs. The Geoducks traveled light with their best 16 and faced the Pigs in muddy and soggy conditions. The Pigs played consistently and un-waivered in their game plan, scoring over 20 unanswered points in the first half. 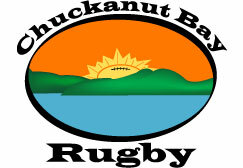 Chuckanut scored two tries with scrum half, Sam Hobbs and center, Levi Johnson in the second half, but it wasn't enough to take the lead. The Geoducks put up a brave fight against the pigs however came up short with a final score of 10-58. Geoduck's head coach Joel Weisser, commented that the team, "...played with incredible heart, aggression and work rate." With one sub available, all but one of the Chuckanut players put in a full 80 minutes. 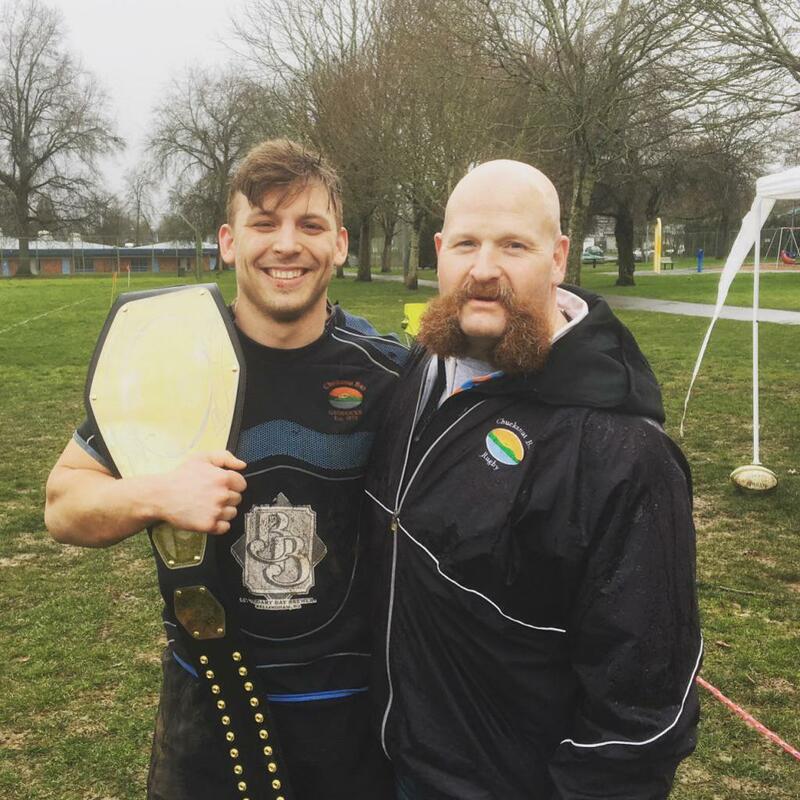 Coach Joel's man of the match for the game was Levi Johnson, who got to take home the belt for his tireless efforts and performance on the field. The Geoduck's captain, Micah Bartlett added, "It was a good game for us to practice our game plan, get some synergy with new teammates, and learn from an experienced team that will make us better." While the team enjoys a couple weeks before the next game, practices will focus on reinforcing the game plan and to prepare for the team's home opener against ORSU on March 16th. Registration is now open on the website so do please take a look and sign up as soon as you can so we know how many athletes the club is working with this spring and to make sure all medical and waiver forms have been completed. Interested in Coaching kids ages 5-18 or how about becoming a Referee. Please let us know, Giving Back is Good! Congratulations to Ben Broselle on being named 1 of 24 Men to earn a 7s Contract with USA Rugby and the USOC. Ben is now training full time with the Men’s 7s team, which is currently ranked #1 in the world along with New Zealand. WOW. It all starts local. Congratulations to Titi Lamositele for getting the start and for Forwards Coach Shawn Pittman for the big win over Chile 71-8. Best wishes to our USA Men as they continue on their journey in the Americas Rugby Championship. It all starts local. 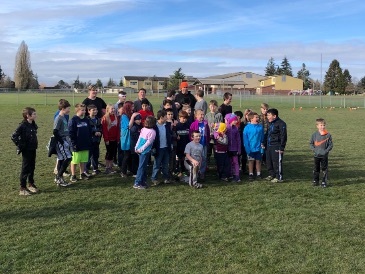 January 19th 2019- We had two great Try Rugby sessions, AM at Sudden Valley & PM at Lummi Nation. Both well attended and received by the local communities. February 2nd 2019 - Try Rugby Burlington very well received with north of 40 in attendance. Many thanks to Don & Barb Small and Matt Holmes for helping to promote through their schools, Rob & Becky Norman for great work in getting the word out to the community and Shannon Ingram for his help on the day coaching. As always, thank you for reading and if you have any questions or if you are keen to be involved in some way please let me know or just give a call to discuss.